61 Knedo leaders from 43 countries were attended to Kitamoto Seminar from 25th to 1st Aug 2014. 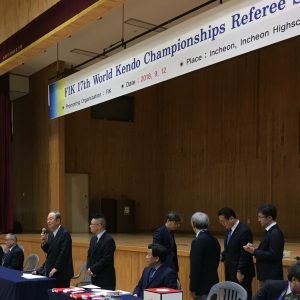 41th Foreign Kendo leaders’ summer seminar was held in Kitamoto City in Saitama prefecture during one week from 25th (Fri) July to 1th (Fri) August 2014. 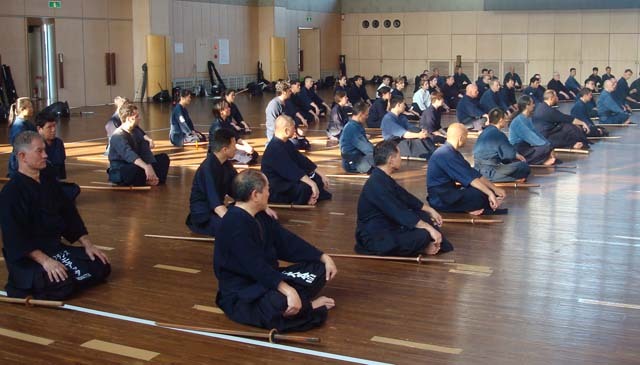 61 Kendo leaders who came from 43 countries all over the world, mainly from FIK affiliates organization. The participants are Kendo 3-Dan to 6 Dan holders who are the current Kendo leaders or the leaders in the future of that country. All participants had a chance to learn from the many high level instructors. 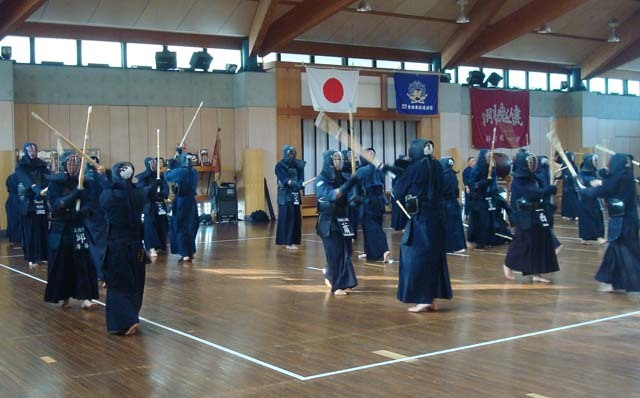 The contents of the seminar are the basic/advanced skills of Kendo, Coaching, how to referee, Kendo Kata, and so on. 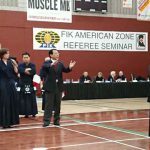 Particularly, “Training Method for Fundamental Kendo Techniques with a Bokuto” is included as one of the contents of morning session. 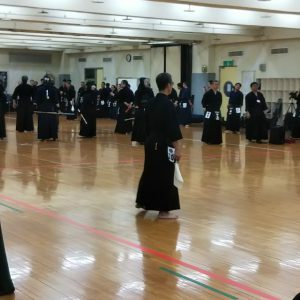 Besides the instructors, there were more than 10 Motodachi Sensei in total for the Keiko time, so that the participants had good opportunities to do the Keiko with various high level Senseis.